It's been more than eight years since Capcom released Mega Man 10. Do we really need a sequel? Based on a short demo I played, the answer is absolutely yes. 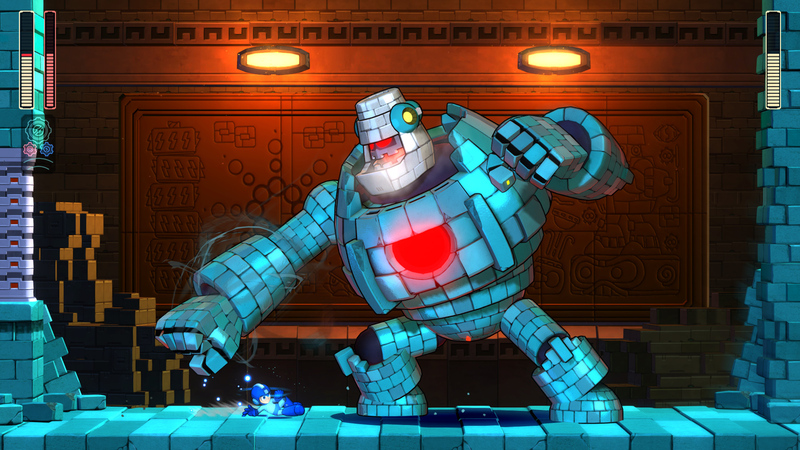 Mega Man 11 has everything you would want and expect from the run-and-gun platforming franchise. It's devilishly hard, with fast-moving enemies and environmental hazards that will quickly whittle down your health bar, even on some of the easiest difficulty settings. The game is snappy, though, so I never felt like my many, many deaths were undeserved. I always wanted to get better and delve a little deeper into each stage I tried. You can overcome most obstacles with traditional jumps and blaster fire. 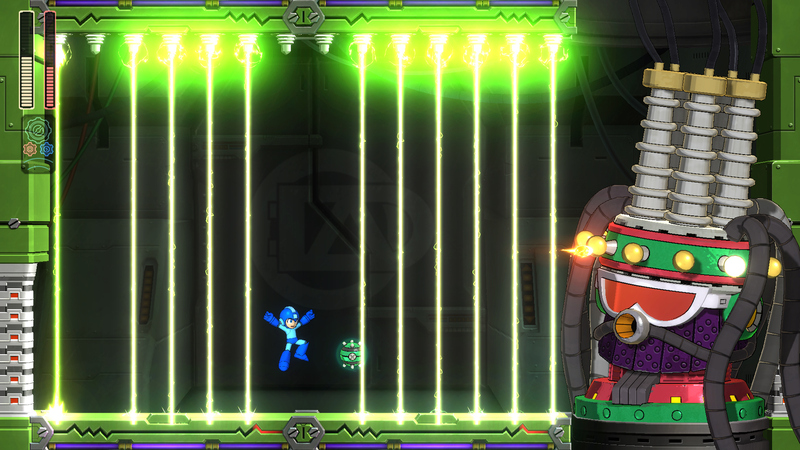 Mega Man can, however, use a charged shot and slide to quickly close down enemies and escape through tight gaps. 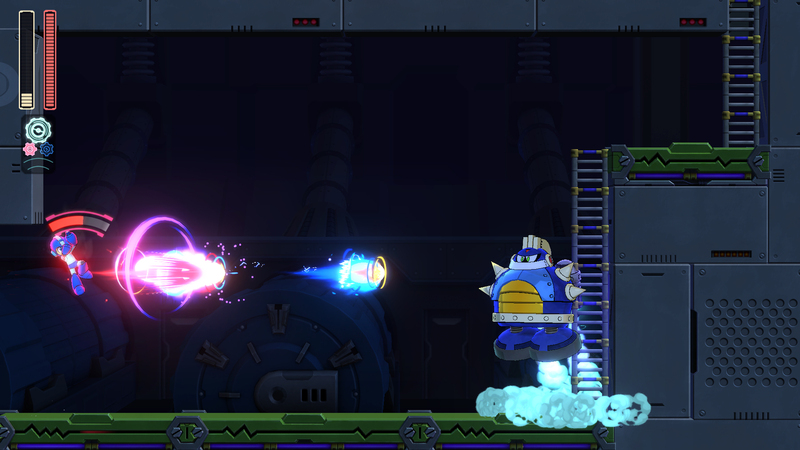 Then there's the new "Double Gear" system, which can be used to slow down time or temporarily power up the Blue Bomber. The latter is critical -- at least for a casual player like to me -- to hit enemies with tiny windows of vulnerability. It's also valuable when navigating complex electrical fields that have small openings to pass through. The Gear System is clearly designed for newcomers. The abilities aren't overpowered, though, because they're tied to meters that quickly deplete. When you turn the ability off, however, the meter quickly replenishes. To get past multiple enemies, then, I found myself toggling the Speed Gear like a turntable crossfader. It's a basic technique, but one that takes practice when combined with the rest of Mega Man's moveset. The Gear System is available at every difficulty setting too, which makes it a useful, flexible crutch if you're struggling to make the jump from Normal to Superhero. The choice was necessary to justify Mega Man's return. "Because the franchise has had a pretty big absence, I wanted to make sure that we made something that wasn't just answering fans who have been wanting a new Mega Man for a while," Kazuhiro Tsuchiya, the game's producer, said via an interpreter. "I wanted to make sure that it was something that was applicable to brand-new fans and also fans who have walked away from the franchise." The team didn't want to throw out the fundamentals, though. A numbered Mega Man title, after, comes with certain expectations for longtime fans. "If we're going to come back after so many different years, I felt like throwing the fans a curveball just didn't make sense," Koji Oda, the game's director said. "It felt like, no, if we're going to come back, let's come back with a mainline title that makes the most sense." That's why, for instance, you can tackle the stages and their corresponding bosses in any order. The hand-drawn backgrounds and character designs -- while modernized for new hardware -- also feel in line with previous entries. The game, clearly, doesn't have a budget equal to Monster Hunter World or Street Fighter V. But it feels like Capcom is doing everything in its power to revive the long-dormant franchise. The various Legacy Collections have given players an easy way to dive back into previous entries and rediscover the Blue Bomber. A new cartoon is also in the works, which could help expose the series to younger gamers who have never heard of Mega Man or even played a 2D side-scroller. "On top of that, there's also the stuff running in the background," Tsuchiya said, "which includes licensed products. A lot of the apparel, and merchandise provides people with a greater knowledge of the franchise. So it's one of those things where I think the game is a good foundation for the franchise. I think it's something that can continue to grow from there and hopefully be a [series] that's here to stay." Mighty No. 9, though, looms over the project like a shadow. It was Mega Man co-creator Keiji Inafune's attempt to create a spiritual successor under a new studio. The crowdfunding campaign was a huge success, however development was riddled with delays and the final game received middling reviews. Tsuchiya said the team wasn't fazed by the response though. "Reviews that took a look at it and treated it like a Mega Man game did not review it well," he explained. "But for people who played Mighty No. 9 without those expectations, who treated it as its own standalone title, came across saying that 'no, it's its own fun game.' That really, really drilled home the fact of needing to set expectations, making sure that people understand that this is the type of game we're offering. This is why it's fun." Based on what I've played so far, I think the team has succeeded. The tight-knit controls and carefully considered level design should appeal to anyone that wants a difficult, but fair game with a hugely satisfying skill curve. 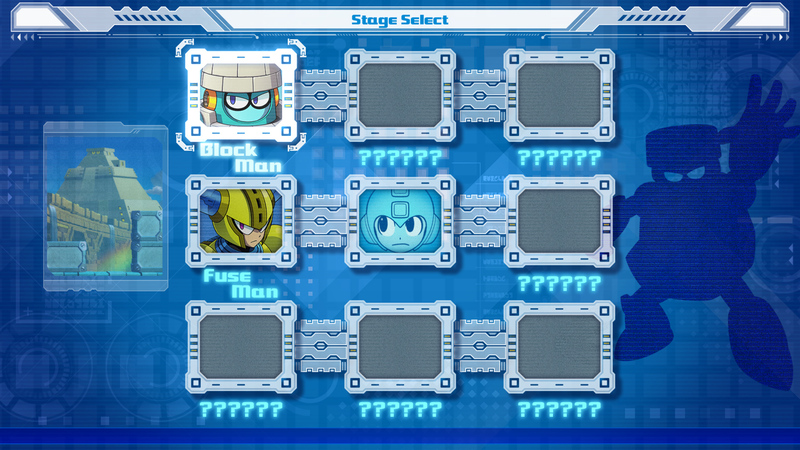 Mega Man-style platformers are hard to come by these days, so it's great to see the Blue Bomber getting another run out.